Appliances are key to living more conveniently in this day and age. From the time we wake up to the time we sleep, appliances play a big part in our lives. These equipment are used daily and so, it is not surprising that consumers experience some trouble especially when they are not keen in maintaining them properly and how to repair our appliances with the help of appliance repair experts, read more! 1. Dryer. When the dryer doesn’t do its job as efficiently as it did before, and it takes more time for you to dry your clothing, this is a sign of clogged vents. Clogged vents are not only energy-consuming, they also pose as fire hazards because they push the dryer to its limit. Solution: Make sure to clean the vent using a vent-cleaning brush at least once per year. 2. Refrigerator. When your fridge keeps on having these random noises, it is a sign that the compressor is not working properly. You have to remember that a refrigerator should have no erratic sounds when it is working properly—it should “hum.” Troubleshooting this cannot be addressed DIY. You have to call your trusted appliance repair specialist for this type of job; otherwise you will be doing more harm than good. 3. Dishwasher. The dishwasher isn’t cleaning as well as it did, and no matter how many resets you do it still doesn’t perform the job very well. The reason for this is the dishwasher isn’t receiving sufficient water, which leads us to a faulty water inlet valve. This inlet valve is located near the front of the dishwasher and can be accessed by removing the front kick plate. This you can try to fix on your own by checking your model’s manual, or this dishwasher repair catalog. 4. Garbage disposer. When your garbage disposer frequently clogs, no matter how much or too little you put in, the blades that have turned dull are to blame. The disposer isn’t built to receive all sorts of trash. Remember, it isn’t advisable to dispose off fibrous materials like fruits and vegetables in these containers. The best solution to this would be to replace the garbage disposer altogether. 5. Furnace. When your furnace keeps on turning on and off every few minutes, this means the sensor needs to be cleaned up. Because of the heat, over time, the sensors get covered in charcoal and ash that prevents them from doing their job efficiently. To solve this, first, try sandpapering the affected area. It this doesn’t work, replace the sensors. 6. Lawn mower. When your mower doesn’t cut as efficiently as it would have, this means its blades are already dull and should be replaced. While the blades can be re-sharpened, it’s often more cost-effective to replace the blades altogether. There are two types of blades: a high-lift blade is best for grass clippings; while a low-life blade is for dry and sandy terrains. You should choose the suitable blade for your needs. Watch out for all these early signs as addressing them can save you hundreds of dollars in the end. Repairing is definitely more cost-effective than replacing if done early. Warranties don’t cover everything, so don’t expect too much. Consumer Report adds, 77 percent of people with warranty contracts weren’t fully satisfied with the replacement of their products. In turn, they had to buy another product and ended up having two different brands with the same use. Be sure your appliances are ready for your needs. Check for the warning signs indicated above. Do not make “tomorrow” an option when having your appliances checked and fixed. For a quick assessment and repair of your equipment, contact PremiumApplianceRepair.com, your trusted appliance repair store. Appliances were created in accordance to our needs. We always make it a habit to used appliances like washing machine when we do our laundry. We used stove and oven to cook our food and refrigerator to store and keep freshness of our food. However, for a long time used of our appliances it will come to a point that it will have wear and tear which will cause it not to function properly. This is where Premium Appliance Repair will come to the rescue. 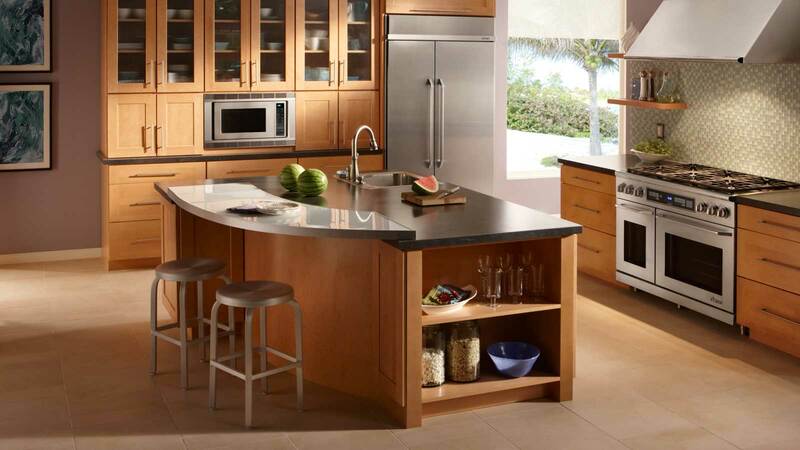 This Chicago based appliance repair service have a certified technicians that will thoroughly diagnose your appliances to fix the problem and avoid severe damage to your appliances. It is believe and proven by experts that detection of early signs of damage in your appliances and repaired it early will save you money. Read further to find out more. Appliance service is a big deal. You may not think about how often you use your oven or how constant your refrigerator is working, but these systems have to work properly, efficiently, and even endlessly. Without a bit of help from a licensed repair technician every now and then, they may become more expensive to operate. One of the most important reasons to have your appliances serviced on a regular basis is because even normal wear and tear can lead to inefficient function. Your appliances may begin to use more energy than they used to. They may also run louder because fans and belts are not cared for properly. And, they can even start to develop periods of non-working. It is always better to fix appliances that are acting up or not working as efficiently as they should be sooner rather than later. The longer you wait, the more they will deteriorate until they cannot be repaired and must be replaced. However, most appliances that are given consistent maintenance from a trained professional along with repairs as soon as problems begin to happen are likely to last longer for you and run more efficiently. If you make repairs to your appliances soon as you start to notice something isn’t right, it is likely the repair will be smaller, faster, and more affordable. It saves you money to do this now instead of waiting. If your appliances are louder, not as cool or hot as they used to be, or they are no longer working as well as before, take action and have them repaired. On the other hand, there are small fixes that doesn’t need an expert hands to do the job. This means you can do it on your own. Here are lists of tips for the appliances that you can fix. Water Inlet Valve – If your washer fails to fill properly, it’s likely that the water inlet valve is defective. A common replacement part in all washers, the inlet valve is inexpensive and fairly easy to install. Drain Pump – If your washer has trouble draining, a clogged or defective drain pump is the likely cause. Be sure to check the “coin trap” found on the front of the pump first – that’s where loose change, buttons and other debris often end up. If there doesn’t appear to be any obstruction, it’s possible that the pump has failed either mechanically or electrically. You can use a multi-meter to test the pump motor for continuity to help determine if the part has failed electrically. Drive Belt – Many front-load washers use a belt to rotate the inner tub. If the tub fails to spin or agitate, it’s possible that the belt is worn out or broken. The belt and drive pulley are easily accessible. Just remove the appliance’s rear panel and you can replace the old belt with a new one in a minute or two. Thermal Fuse – By far, a thermal fuse is the most common part to fail on a dryer. If the venting or blower housing becomes clogged with lint, the thermal fuse will blow, cutting off power to the burner, heating element or the appliance itself. After replacing the fuse, be sure the venting and blower wheel are clean and free of obstructions; otherwise, you’ll continue to replace the thermal fuse far too often. Drive Belt – If the dryer drum fails to turn, it’s likely that the drive belt is worn out or broken. Most belts are inexpensive and easy to replace. Rollers, Glides and Bearings – If the dryer is noisy during operation, worn rollers, glides or bearings are a likely cause. Some models will have a bearing and retainer supporting the rear of the drum and glides in the front; other models will use rollers. If one roller or glide is worn out, we recommend replacing all of the rollers or glides at the same time. Water Filter – If your refrigerator has a water filter, you should replace it approximately every six months to maintain proper water flow and to ensure good water quality. Check Air Flow – Air flow is critical for proper operation both inside and outside of the refrigerator cabinet. A damaged evaporator fan or an obstructed vent will prevent the air from circulating properly between the freezer and refrigerator compartments. Since overheating is the main cause of compressor failure, you should maintain good air flow outside the cabinet by ensuring that the rear of the appliance is kept a few inches away from the wall. Clean the Condenser Coil – Over time, the condenser coil will collect dust and debris which can prevent the refrigerator from cooling efficiently. We recommend using a brush to clean the coils periodically for optimum operation. You should also clean the condenser fan motor as well. Evaporator Fan Motor or Condenser Fan Motor – If either the evaporator fan motor or condenser fan motor become noisy during operation or stop working altogether, you should replace the defective component with a new one. Water Valve – If your water dispenser is not working or the icemaker doesn’t fill, it’s likely that the water valve is malfunctioning. Valves can fail either electrically or mechanically. You can determine if the valve has failed electrically by using a multi-meter to test for continuity, a continuous electrical path present in the valve. If the valve tests negative for continuity, it will need to be replaced. Glass Tray – Regardless of the model, the glass tray in your microwave is removable and easy to replace. Filters – Grease and carbon filters are usually easily accessible and should be replaced on a regular basis to improve venting and eliminate odors. Waveguide or Stirrer Blade Cover – Your microwave oven’s waveguide or stirrer blade has a cover to protect the component from getting soiled. A damaged cover can result in electrical arcing within the oven cavity. If you see sparks coming from the cover, the part should be replaced. Cutting Blades – Sharpening the cutting blade should be a part of your annual lawn mower maintenance. However, if the blade is damaged, you should replace it with a new one. Be sure to enter the lawn mower’s model number to find the right blade for your mower. Control Cables, Belts and Starter Cords – Over time, brake and throttle cables can fail; the same can happen to self-propel drive belts and starter cords. All of these parts are replaceable and they don’t take long to install. Air Filter, Spark Plug and Engine Oil – All three of these items should be replaced annually at the beginning of the mowing season. For greater convenience, the items have been collected in “tune-up kits” that match your specific mower model and engine type. With one purchase and a few minutes for installation, your lawn mower will be ready for use. Flame Sensor – Over time, corrosion can build up on flame sensors which can prevent them from properly sensing the flame. If simple cleaning doesn’t improve operation, you should replace the sensor. These tips will help you save money. You can do it during your days off, but always remember don’t go over the difficult fixes cause chances are you might worsen the broken parts of your appliances. There’s an expert for difficult repairs, call Premium Appliance Repair and their certified technicians will guarantee you a quality repair fix of your appliances. Doing laundry has been made very easy by washers and without these important appliances you might have a difficult time. This is why when yours breaks down or does not work properly, you will be faced with a lot of inconveniences in your daily activities. You may follow all the manufacturer’s instructions to take care of the washer but there will always be faults that you’ll not be in control of. One important thing is to remember that a faulty appliance is no reason to get a new one. You can just have it fixed. Having your appliance repaired will save you a great deal of money and that’s the reason PremiumApplianceRepair.com exists. We’ve been in this industry for many years and this has given us the experiment and knowledge we need to deal with all washertypesavailable in homes. All customers we worked with over the years have nothing less than positive to say about our services through testimonials and reviews. With our experience and our trained technicians, we have dedicated our company to providing professional washers are in the list ofappliances we handle. Our technicians are trained on handling all types of services- washers across brands and models.To make sure that your washers gets repaired in good time, we offer same day repair services and all you have to do is give us a call and explain your washer’s problem. Are you having a hard time with your laundry because of a faulty washer? Do you need professional repairs services to handle the faults? For more information and high washer fixing services, call us today! Malfunctioning Washer Problems? Hire a Reputable Appliance Repair Experts to Repair it! We depend on our washers in the laundry process. This is why a faulty one can cause a stressful day. No one really wants to pile up clothes or think about doing their laundry manually or take the dirty clothes to laundry shops. That said, washers can develop a number of problems and it is a good idea to let a professional handle it. If the washer in not working, this does not automatically mean that you should replace it with a new one, you can have it repaired andthis will be an easier cheaper option. PremiumApplianceRepair.com is a professional company providing satisfactory washer services in Plainfield. We’ve been in this business for over two decades and have repaired many washers. This explains the many positive reviews and testimonials from the customers we provide services to. We guarantee you’ll be one of our satisfied customers if you let us handle the repair process. Our company has grown to be a leader in appliance repair. We work with experienced and trained technicians who are trained in handling different types of washers. Because of this, our services are always top-notch. We ensure our technicians follow modern repair methods and use high quality parts. We are available around the clock and the same day repair makes sure that your washer is repaired within a short period after you give us a call to help you solve the problem promptly. Are you looking for affordable washer repair?For more information on appliance fixing, pocket friendly rates and a free quote, call us today. Is your stove inconveniencing you by malfunctioning? Do you need professional repairs? Well, you have come to the right place. We understand how stressful not having a working appliance can be. That is why we provide fixing services. Premiumappliancerepair.com has been in businessforover 20 years. Over the years, we’ve repair many stoves. This has widened our scope and given us the experience we need to fix any unit across brands and models.This means that we’ll take care of faulty appliances regardless brand and its age.Our dedicated services are portrayed by the positive testimonials and reviews from our customers. To be sure that we’re always offering quality services, we only work with professional technicians. These experts are factory trained and licensed to handle different appliances. With expert technicians and high quality parts, we guarantee that you will always receive satisfactory repairs. Having experts handle your faulty stove is better than having it replaced because the former option is cheaper. For this reason, we always ensure that the process only costs a fraction of the purchase price of a new stove. The affordable price does not compromise our expertise and delivery. We know appliances break down when needed most and this is the reason behind our flexible services. If you contact us, we will have the appliance repaired the same day to make sure you are back to cooking your meals at home. 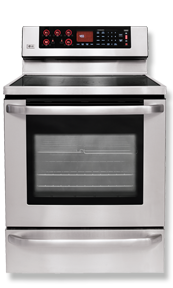 Are you searching forquality stove repairing in Plainfield, call us today for more information and for repairs backed up by a warranty. We all have appliances in our home. We rely on appliances to do our daily routine, do chores, relax, do our needs and wants. Basically, without appliances, life wouldn’t be that easy. We use appliances every single day and some of them even stay on for 24-7 like air conditioning, ceiling fans, computers and CCTV systems. It would be fantastic if these appliances last for a lifetime! Unfortunately, they don’t. Appliances also also have a lifespan of their own. They also undergo what we call “wear and tear”. The more we use our appliances, the wear and tear will definitely test the durability of your appliances until it can no longer avail it’s warranty. As much as we need our appliances, we also need to be responsible owners as we use them. Here are some helpful tips as you check your appliances and see the signs if your appliances are already in bad condition and the factors you need to weigh in. The appliance won’t turn on: Obviously, if you can’t use your appliance at all, it needs a repair. Before you pick up the phone, double check that the appliance is plugged in, no circuit breakers have tripped, and any vents or filters aren’t clogged. Once troubleshooting is out of the way, call an appliance repairman to come take a look. Unusually high utility bills: Putting off appliance repair may seem like the best way to save money, but if your gas, water or electric bills are especially high one month, it could mean that one or more appliances are malfunctioning and hogging more energy than they should. A repair can get them back in working order and restore your energy bills to normal. Other signs of malfunction: You get used to the way your appliances function, so if any of them start to act strangely, they might need a repair. For instance, a washing machine that operates louder than usual, a refrigerator that starts dripping, a dryer that can’t seem to get your clothes dry, or an oven that takes twice as long to preheat are all signs a repair is needed. Follow the 50% rule: This is the best advice to help you decide whether your money is better spent on a repair or replacement. The 50% rule states that if your appliance is more than 50% through its lifespan and a repair is also more than 50% of the cost to buy a new one, it’s better to replace the appliance. A knowledgeable repairman can tell you the average lifespan of the appliance in question, the replacement cost and the repair cost so you have all the information you need to make your calculation correctly. Consider the warranty: If your appliance breaks down when it’s new enough to still be under warranty, schedule a service call without delay. Labor and parts may still be fully covered so you can have the repair done for free. Take hidden replacement costs into account: The cost of replacing an appliance may be more than what’s listed on the price tag. If you have a professional install it, labor costs will increase the price. Newer appliances may also not fit where the old unit sat, which may require you to make modifications. Also, if you upgrade from a simple model to one with all the bells and whistles, you may end up needing to upgrade your electrical wiring and circuits. Keep all these hidden costs in mind as you shop for replacement appliances. Now that you’ve learned how to check your appliances and the things you need to reconsider before making a repair or replace decision, it is also very important that we also know how to make repairs on our own. Picking up the wrench is and learning some handy skills can definitely save you a lot of money. Here are some tips to get you on track! Appliances costs a lot of money. Maintenance and repair also costs a lot, too. Being keen and observant about your appliance’s condition is a wise thing to do. Not only you can prevent future hazards to your health, family and your home; being able to fix appliances yourself can also save you both time and money. Learning how to fix appliances is a very handy skill. But sometimes, you may also need professional help in order to prevent injury and personal accidents. Take care of your appliances as much as you take care of your home. At Premium Appliance Repair, you will be 100% confident that your appliance will be in good handys with our best appliance repair professionals. We highly recommend that if you’re not so knowledgeable about appliance repair, leave it to the professionals. Get Help from Appliance Repair Experts to Fix your Refrigerator Problems! Refrigerators bring a certain level of convenience in every home or business. Their ability to chill or freeze foods and other substances makes them very important. A faulty refrigerator can cause such a great inconvenience. If you own a fridge at home and you have dealt with a day without its services then you understand this situation. Fridges do break down even when taken care properly. There are normal wear and tears which mean you need pro repairers to take care of these faults. PremiumapplianceRepair.com is proud to be in this industry for more than 20 years. 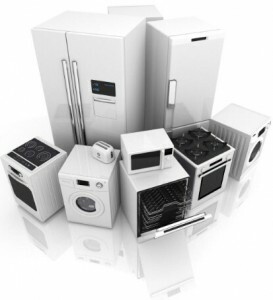 Over this period, we’ve repaired many appliances including freezers and fridges. The good part is that all our clients are satisfied with what they received from us. This can clearly be seen through positive reviews we enjoy and the many testimonials from happy customers. Our services are provided by highly trained technicians who are licensed and experienced in handling different types of refrigeration. We repair all kinds of fridges and freezers from any brand and model. We make sure that the technicians are knowledgeable in dealing with new models and that they use the best parts in the repair process. We understand the inconvenience that can be caused by the faulty fridge and this is why we have same day services to deal the problem immediately. Because we would like you to get your fridge back without spending a boat load of money, the services will come at an affordable price that is a fraction of the refrigerator’s cost.Are you looking for professional refrigerator repair services in Bolingbrook? For more information about Refrigerator Repair, click here. A kitchen without an oven is somewhat incomplete and this iswhat it will be if it suddenly stops working. While there are a lot of causes of faults, there exist equally many reasons why you should have it repaired. Having it fixed is far cheaper than purchasing a new one.Though repairing is a great option, you need to make sure that you hand your oven to experts to get it properly repaired. Premium Appliance Repair has been repairing appliances for more than 20 years.Over the years, we’ve repaired many ovens and all our customers are happy with the services they got from us. This has led to the many positive reviews and testimonials from customers we provided services to. We are a professional company right from the process ofhiring our technicians. We only work with highly trained technicians who are licensed to handle this type of work. They also continue to receive specialized training to stay up to date with modern repair methods.Our services are geared towards solving your problem as fast as possible through our same day services. Buying a new oven can cost you a great deal of money and thus it is the main reason why we provide a cheaper option. Repairing your appliance will cost a small amount as compared to buying.For this reasons, we have affordable rates. If you are dealing with faulty oven or one that is not servicing you as well as you want it to because of a problem, we can fix it. For a free quote and more information on repair services, call us today.